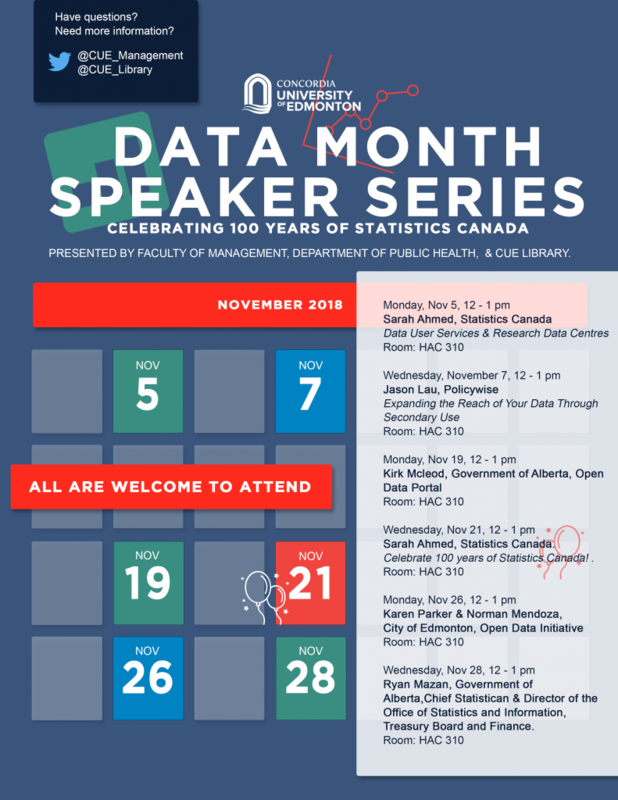 November is Data Month at CUE! Mark your calendar! 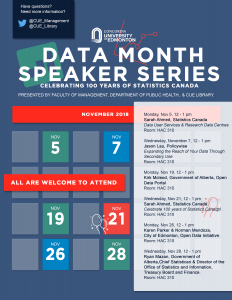 In celebration of the 100th anniversary of Statistics Canada, the Faculty of Management, Department of Public Health, and Arnold Guebert Library invite you to a series of public presentations by leading data experts from Statistics Canada, the Government of Alberta, the City of Edmonton, and PolicyWise for Children and Families. Please share this with your students and colleagues – all students, faculty, staff and members of the public are welcome to attend!